Switzerland - "Nature wants you back"
Arrive in Switzerland. Press the “off”-button. Breathe the crisp and clean air. Marvel at the majestic mountain panorama. Don’t just say cheese, but make cheese with a local cheese maker. Explore the stunning nature on a bike, on skis or on a hike. Now you know why the Swiss are one of the happiest people in the world. When in a Swiss city take a stroll through the medieval old town to the lake or river. Take a guided tour in a museum – packed with art, not with other visitors. While small on a global scale, the Swiss cities score with history and stories, world-class art and quality of life packed into a compact area. 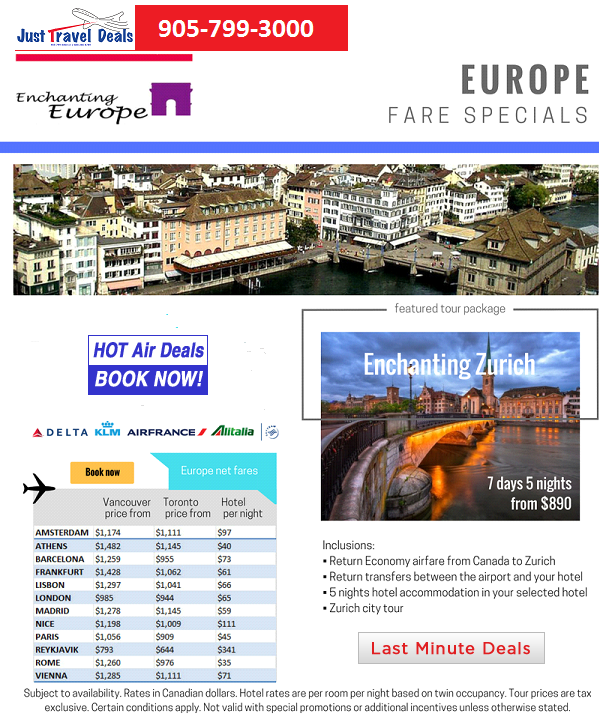 You will enjoy such and similar experiences throughout Switzerland! Zurich is the largest city in Switzerland by land and population, and the capital of the canton of Zurich. It is located in central Switzerland at the northwestern tip of Lake Zurich. It is a mixed hub for railways, roads, and air traffic. Both Zurich Airport and railway station are the largest and busiest in the country. It is the financial centre of Switzerland and houses the stock exchange and the headquarters of a large number of national and international companies, and also home of FIFA's headquarter. German Swiss national and international media agencies as well as the German Swiss national TV channel company are also located here. Its two major universities, ETH Zürich (Swiss Federal Institute of Technology, 21 Nobel Prize laureats) and University of Zurich (12 Nobel Prize laureats) are listed among world's 15, or 50, respectively, best universities. Zürich was named the city with the best quality of life in the world as well as the wealthiest city in Europe!